According to the Wall Steet Journal, there’s a lot less suing going on these days. “Fewer than two in 1,000 people. . . filed tort lawsuits in 2015,” down significantly from 20 years ago. Why? You know the drill: higher costs, caps on damages, changing jury sentiment against “frivolous” claims, carriers taking a hard line, and the list goes on. Alternative legal services (paralegals, mediation document prep services, legal plans, etc.) and self-help measures are also thinning the herd. The latest? You can now use a chatbot to get answers to a variety of legal questions and help (advice, sample letters) in fighting parking tickets. On top of this, more firms offer “low cost” legal services, educating the public to not pay “retail”. Should we panic? Yes. If panicking is what you need to do to wake up and smell the coffee. Otherwise, no. There may be less business overall, but there is (and always will be) more than enough for you. But you may need to make some changes. It’s not your father’s profession anymore. Don’t expand your practice areas in order to compete with multi-practice-area firms, in fact, don’t compete at all. Specialize. Be the best you can be in fewer practice areas. Clients prefer specialists, remember? 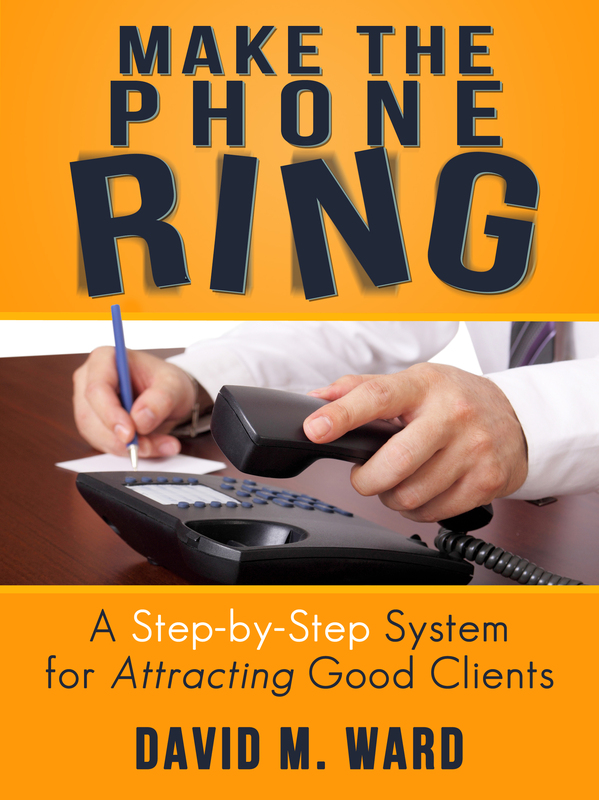 Target the high end of the market and charge higher fees to clients who are willing and able to pay them. Of course you’ll also need to up your game and offer more value and premium services. Target niche markets and dominate them. 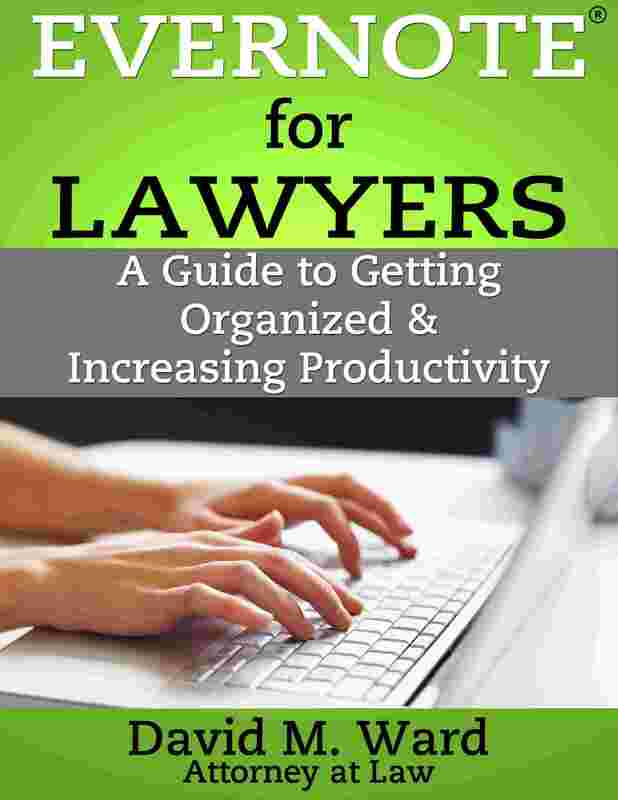 Become the best known and most highly regarded lawyer or firm in smaller markets. Leverage word of mouth and “influencer” marketing and take the lion’s share of the business. Make marketing an even bigger priority. Pick a handful of strategies and get good at them. On the latter point, you’re in luck. Many lawyers still don’t get it. Some don’t believe they need to do any marketing at all. You should find them easy to beat. But don’t get complacent. 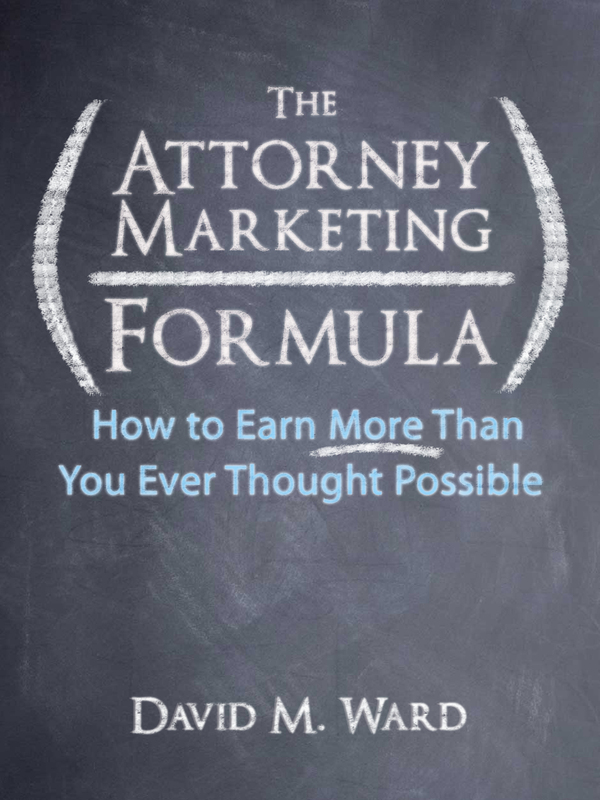 There’s a new crop of young attorneys coming up who do understand the need for and power of marketing, and they’re eager to take business from you. But don’t get complacent. There’s a new crop of young attorneys coming up who do understand the need for marketing and they’re eager to take business from you. So basically, do what you should have been doing all along. Narrow your focus, develop your skills, offer more value, and hustle. There’s plenty of work out there. Go get it. You don’t dress like a lawyer–does it matter? So Mark Zuckerberg wears the same t-shirts and hoodies every day. Same color, too. He says it’s easier that way because he doesn’t have to take any time deciding what to wear. I admire his efficiency but why not wear a blue suit, white shirt, and red necktie every day? Why dress like a teenager who doesn’t care about how he looks or what people think? Why not hire someone to choose his clothing for him? Because he’s a billionaire and he can do whatever he wants. Because he owns the stock and nobody refuses to do business with him. And because he’s in tech, not law. Yeah, he’s in an industry where dressing casually and being quirky is cool and dressing in traditional business attire isn’t. If you’re a billionaire you can do the same thing. Otherwise, you probably need to dress like a lawyer. Your client’s expect you to “look the part”. If you don’t, if you vary from their image of what a lawyer is “supposed” to look like, they get nervous and may doubt you and your abilities. I’m not saying it’s right, but that’s the way it is. So men, you need the suit and tie. Women need to wear appropriate business attire. Lawyers shouldn’t have tattoos showing. Men shouldn’t wear earrings. Or long hair. Or purple hair. Women can wear earrings and have long hair but not purple hair. Yes there are exceptions. An office in Beverly Hills is different than an office in Omaha. Seeing a long time client on a Saturday is different than meeting a prospective client on Monday morning. But you get my point. Optics are important. We see politicians on the campaign trail today and many of the men remove their neckties and wear blue jeans. I’m sure it’s because they want to look like a regular guy. That’s okay if they’re at a picnic or riding a tractor; otherwise, I think they need to look the part they are auditioning for (even if they’re not a lawyer). Yes, I know it’s not the 1950s. And yes, I’m old fashioned. But so are voters. And clients. And judges. And other lawyers who might not send you referrals if you wear gray t-shirts and hoodies every day. 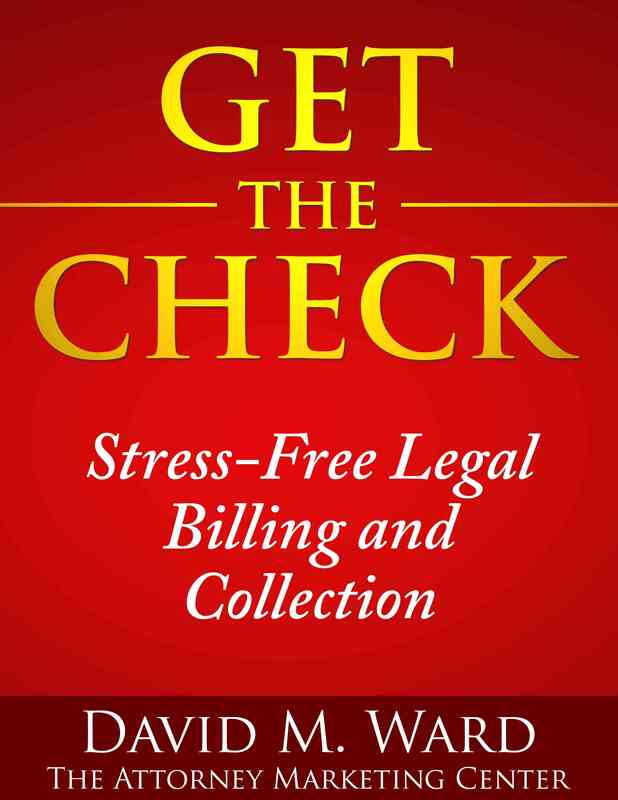 Your clients have no idea how expensive it is to run a law practice. Is it any wonder that some clients shake their heads at $400 an hour? Can you understand why a $10,000 retainer might be incomprehensible to someone who earns $40,000 a year? How do we get clients to understand that we’re not getting rich at their expense? Should you tell your clients how much you actually earn? No. It’s none of their business. Besides, you want your clients to think that you earn a very good living. Nobody wants to hire a lawyer who is struggling to pay their rent. But perhaps you could help your clients to understand that running a law practice is expensive, and that what you bill out in no way approximates what you take home. One way to do that would be to take new clients on a tour of your office. Show them how many desks and chairs there are. Show them your conference room and library. Point out the computers and copy machines and other equipment. Introduce the people who work for you and describe their function. You might also want to explain, perhaps in a letter in their “new client welcome kit,” what you and your staff will be doing for them. You might point out that at any one time, there are at least three people working on their case. You could also provide a soup-to-nuts description of the major steps you take to do what you do. Let them know how you investigate a case, conduct research, prepare pleadings and motions and discovery, and get ready for trial. Mention something about the costs you incur on a typical case. If your work is handled on contingency, remind them that while you are good at what you do and selective about the cases you accept, there is no guarantee that you will win every case and if you don’t, you will get paid nothing. In your newsletter, talk about the things you do to hold down costs. Talk about how the forms and templates you have developed over the years allow you to save your clients money, for example. Let them see that while you don’t cut corners, you don’t spend money unnecessarily. At the same time, unless your clients are wealthy, don’t talk about your new Mercedes, your lavish vacation, or expensive new toys. Don’t “dress down” — you’re expected to do well — but don’t give clients cause to believe that you are indeed getting rich at their expense. Just as most doctors will tell you that doctors make the worst patients, I think most lawyers would say the same thing about our species. It’s because we know how things are supposed to work. And it’s because of ego. We’re not comfortable letting someone else call the shots. And so we routinely handle our own legal affairs, often to our detriment. Nowhere is this detriment more apparent than when we have a dispute with another lawyer. 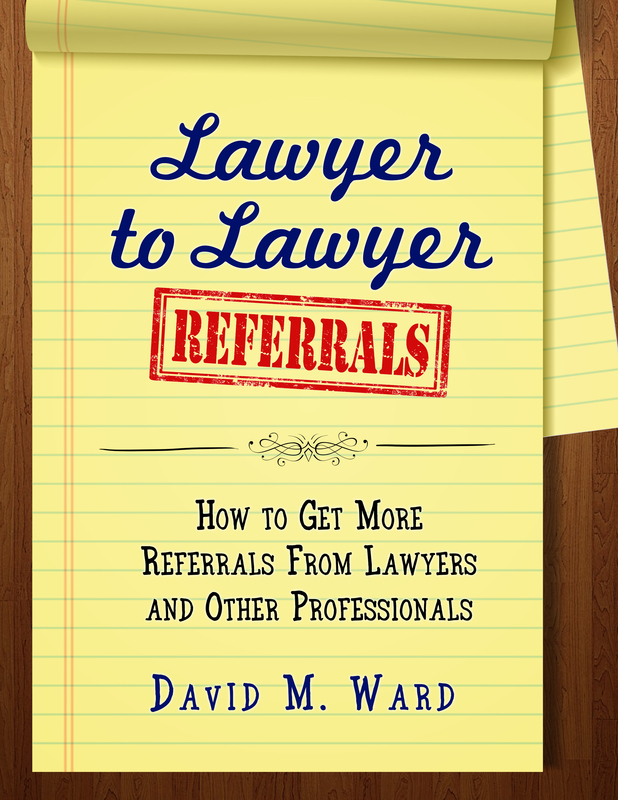 A lawyer friend contacted me the other day and told me about one of his clients, another lawyer, who has become the proverbial client from hell. She isn’t happy with anything and blames him for things outside of his control. She wants what she wants and steadfastly refuses to compromise, despite his many attempts to accommodate her. At first, he wanted to save the client. Now, he just wants to save himself. How bad is it? She’s reported him for imagined ethical violations and is threatening to file a criminal complaint. As I say, the client from hell. He asked for my take on it. Naturally, I suggested he turn it over to another lawyer. Not just because of the ethical and criminal risks, but because the whole thing is making him miserable. “You’re too close to the situation and she will continue to push your buttons,” I said. If he’s lucky, she will get a lawyer, too. Then the two lawyers can negotiate without the animus or emotion that has gripped this situation. It will cost him, but can you put a price on your sanity? I’ve met lawyers who swear they will never again have a lawyer for a client. What say you? Have you represented any lawyers who made you wish you hadn’t? When it comes to marketing, I don’t obsess over the numbers. But I don’t ignore them, either. Neither should you. Tracking numbers allows you to see trends in the growth of your practice. If you’re not growing, you’re dying. Tracking also allows you to test new ideas and make better decisions about where to spend your time and money. If something isn’t working, you can take steps to fix it. Or abandon it in favor of something else. If something is working, you can look for ways to make it work better. Some things you track daily. Some weekly, monthly, or quarterly. Some you look at once in awhile. You probably don’t need to track all of these. You also don’t need to get into the minutia of things like open rates and click through rates. I know I don’t. I mostly pay attention to two things: the number of new subscribers to my email list and monthly revenue. As long as both are growing, I know I’m doing okay. How about you? Which of these metrics do you track? What else do you track and why? Why is it that so many people don’t trust lawyers? Unless they’ve been burned by a lawyer before, or know someone who has, I think it comes down to how we are portrayed in the media, movies, and TV. And let’s not forget all of those lawyer jokes. And yet I think most people who meet us for the first time are willing to give us the benefit of the doubt. They will assume that we can be trusted, because it’s too difficult to assume that we cannot. They come to us with a problem and they want to believe that they can trust us to help them. But their trust can evaporate in an instant. The smallest misstep can trip us up. A little white lie, missing a deadline by a day or two, a bill that comes in for a few dollars more than expected. 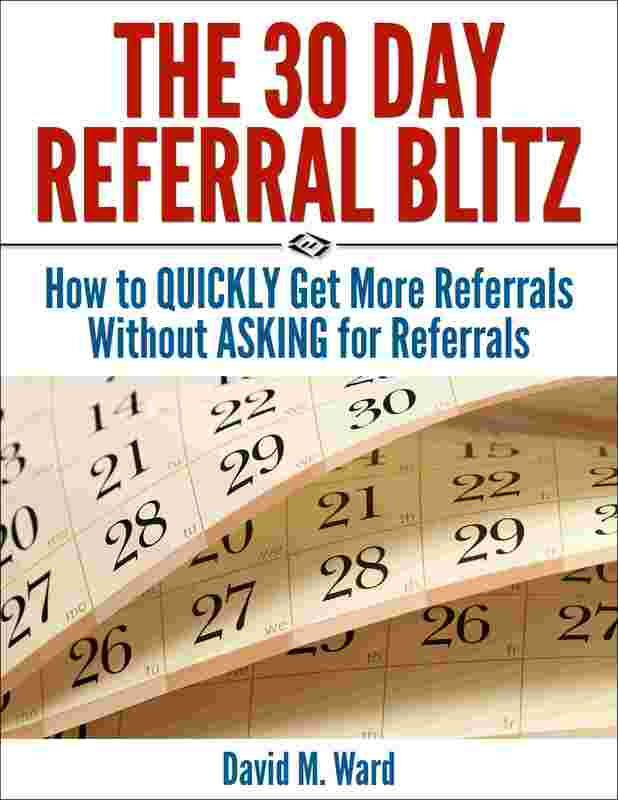 For many clients, one screw up, one broken promise, or even one exaggeration is all it takes. I thought about this over the weekend when I was looking at a book on Amazon. A five-star review said something like, ” . . .although it took some time to read. . .” and then praised the book. But the book was only 26 pages. Seeing that, I knew the review was phony. The author had purchased the review. That’s cheating. And against Amazon’s terms of service. If the author did that, what else is he dishonest about? Why should I trust his information or advice? So I didn’t “buy” the book, even though it was free. One strike and he was out.